Move into the realm of a healthier lifestyle by joining the Discovery Vitality program. This clever initiative is so much more than the regular Discovery medical aid program. It tracks the health of you, and includes your family in a whole range of benefits that put you on a winning streak in your health, and your finances. The steps that need to be taken in order to gain Discovery Vitality benefits are simple. Have a look at the following actionable things you can do to benefit through Discovery Vitality. Exercising: Get a new lease on life and join a gym. 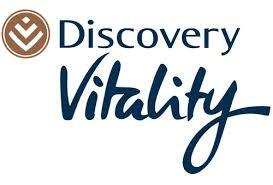 Virgin Active and Planet fitness are two of many Discovery Vitality partners. You will get points by visiting the gym regularly and improve the way you feel in general. Eating healthier: The human body functions and feels better when you fuel it properly. Doing this also helps you earn Discovery Vitality points which improves your health status and earns you other great benefits. Regular checkups: Visiting your doctor also gets your rating up. Getting a physical examination keeps your mind at ease about your health, which is why Discovery Vitality rewards you for it. Discounts on groceries: Would you believe that you get rewarded for buying healthy food? Now you can use those same rewards to buy more of it! Discovery’s initiative offers discounts on your grocery bill at Pick n Pay and Woolworths. Discovery Vitality flights allow you to fly for less via top notch airlines such as British Airways and Emirates. Vehicle insurance: You also pay low premiums on Discovery Vitality car insurance, keeping your vehicle covered as well as your body. However, what benefit is better than your health? Discovery have successfully come up with a program that motivates customers to live healthier. This public service is all part of the package. Join the Vitality program now and include your family in the initiative too. It’s a great way to get yourself and your children practising healthy habits from today. The Vitality program is for school kids, men, women, and anyone else who wants to turn their lifestyle around for the better.